The doorbell rang. "What did I order?" I thought. My mind immediately tried to bring up a screenshot of my email inbox from memory. I tried to picture any "Your Amazon order has shipped" notifications as I walked to the front door. As the delivery man handed me the box, I quickly searched the label before signing and saw "The Knot New Jersey" was the shipper. I knew this would be coming for a few months now, but I had no idea exactly when to expect it. 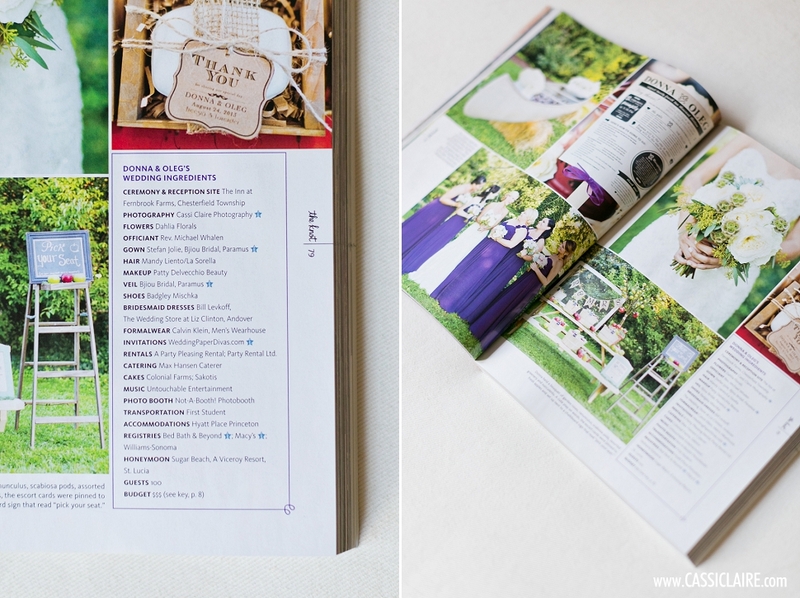 I knew that inside the box would be a copy of the newest edition of The Knot NJ wedding magazine (Fall/Winter 2014 issue), and I frantically grabbed the scissors and ran to the couch. (Kids, don't run with scissors). I turned the pages quickly at first, but reminded myself to slow down seeing as the feature of Donna & Oleg's wedding wouldn't just disappear if I took too long to find it. Thankfully, I didn't have to wait too long...there it was on page 77 (out of 496). When I came back to reality, I laughed out loud at myself for crying, and patted myself on the back. Literally. Like, I actually patted my own back. Yup. #toosoonforthestraightjacket? 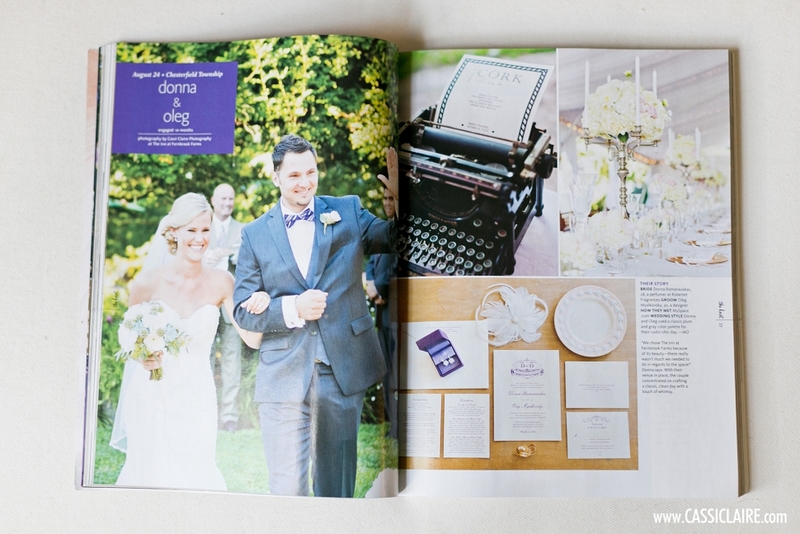 Obviously none of this would be possible without Donna and Oleg's AMAZING wedding planning skills! How stinkin' beautiful are all of their personal touches? !